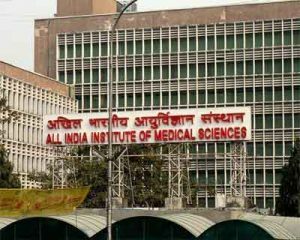 New Delhi: The country’s premier medical institute AIIMS “lacks” facilities which allow smooth access to the physically challenged on its premises, a recent audit conducted by the hospital administration has revealed. The audit comes in the backdrop of the Ministry of Social Justice and Empowerment advising public health facilities to conduct an inclusive accessibility audit to identify infrastructure gaps and make buildings disabled friendly as a part of the ‘Accessible India Campaign’. “The review brought out that there are few places in the institute where toilets for the wheelchair-bound patients are lacking. Certain areas like the administrative block, the teaching block, JLN auditorium and biotechnology block are not accessible for persons with disabilities,” said V Srinivas, Deputy Director (Administration), AIIMS. “These blocks will be retrofitted to make them wheelchair accessible. The existing AIIMS building is old and needs significant modifications. Efforts are being made to convert the old blocks barrier free,” he added. Currently elevators, installed in the hospital areas have an operator to guide the patients with special needs. Signages and announcement systems have also been put in place. Further, three departments — Physical Medicine and Rehabilitation, Engineering and Hospital Administration — have been asked to identify the gaps and draw out the modalities to make the building disabled friendly, he said. Meanwhile, the Department of Empowerment of Persons with Disabilities, a division under the Ministry of Social Justice and Empowerment, has also asked the faculty of IIT Roorkee to conduct an external accessibility audit of AIIMS. “AIIMS is visited by a large number of physically- challenged persons. The institute would strive to take all necessary action to ensure that the disabled persons are provided inclusive accessibility,” Srinivas added.